Home DESIGN NEWS STYLE CURATOR CHALLENGE Join the December #stylecuratorchallenge: Show us your minimalist styling! Join the December #stylecuratorchallenge: Show us your minimalist styling! Each #stylecuratorchallenge is a little different — sometimes we’ll challenge you to style a zone in your home and other times we’ll set a theme (such as our recent Spring styling challenge) — and this month we’re going with a theme topic. In celebration of the sophisticated and minimalist aesthetic of our brand sponsor Nordik Living, we’re challenging you to show us your minimalist styling! You might like to style your bedside table or another surface area in your home, or style a full room — it’s up to you! 1. Share a photo of your minimalist styling. Be sure to include in the photo caption the #stylecuratorchallenge hashtag and our handles @stylecuratorau and @nordikliving. It’s also a good idea to tag us on the pic so we definitely see it now that Instagram is shadow banning some accounts! We will be checking Facebook, Instagram, Twitter and even Google+ but can only see photos shared on public accounts. 2. Follow Nordik Living and Style Curator. Be sure to follow both Nordik Living and Style Curator on social media for challenge updates. 3. Show some love. Check out the photos other people have uploaded of their home by following the #stylecuratorchallenge hashtag. Like, comment and encourage each other along. You can also ‘share’ this page to any social media site or email it to a friend to encourage more people to join in. Did you know most #stylecuratorchallenge winners have generally uploaded multiple images throughout the month? It makes sense, the more times you enter, the better your chances so feel free to share photos of different spaces or photograph the space from different angles! Of course it wouldn’t be a #stylecuratorchallenge without a fab prize on offer and we’re pretty sure there’s going to be a fierce competition for this month’s prize — a set of 2 American oak bedside tables valued at $650!! Pictured above, these bedside tables feature a reversible top drawer so you can easily change the look. The cupboard bottoms are perfect for storing bedside essentials in a tidy way. Find out more about these bedside tables, including all the specs, on the Nordik Living website here. *Terms: image must be uploaded to social media between 1 – 31 December 2018, including the #stylecuratorchallenge hashtag and tagging Style Curator (@stylecuratorau) and Nordik Living (@nordikliving). Only Australian residents are eligible to win the prize but everyone is welcome to join in the challenge. We will select the winner by 7 January 2019 and announced it on the blog. WELCOME! We love growing our tribe of styling enthusiasts and can’t wait to see your pics! There’s no need to feel shy or intimidated — so don’t hold back! We’re a fun and supportive community and you’ll find your photos will get lots of love from others who join in. Our challenges aren’t about being the best — it’s about making small improvements around our home each month (so we really can achieve the stylish homes we dream about), giving it a go and having fun! 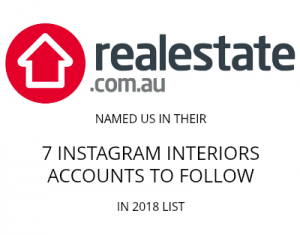 It’s also a way to meet other interior-loving enthusiasts and connect with them online. So what are you waiting for?! Don’t miss your chance to win these stunning bedside tables!